Senthosa, the latest addition to Colombo’s increasing array of restaurants which opened at Horton Place, serving authentic Singaporean, Chinese, Malaysian, Indonesian, Vietnamsese and Thai cuisine, has now added the service of veteran Chef Bobby all the way from Malaysia to prepare the best of Far Eastern cuisine. Barley three months of operations, proprietor Niranjan Devaditya said that the overwhelming success of his first restaurant prompted him to expand the restaurant to upper floor dedicating best of Singapore and Malaysian food. ‘I wanted to add best of European cuisine to our menu. French and German dishes are already added and will be including rest of the delicacies too. 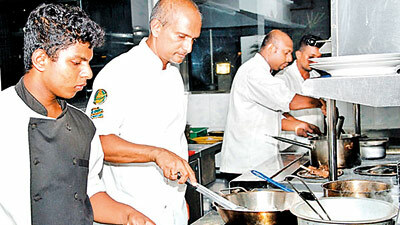 I am also looking for a restaurant out of Colombo, which would be one of its kind in Sri Lanka’ he added. Guaranteed to satisfy the most demanding of customers, Senthosa is essentially a family restaurant and is open daily, for all day dining from 11.00 am onwards. The décor of Senthosa is futuristic and sophisticated with bright colours and lighting, giving it a warm and inviting ambience. 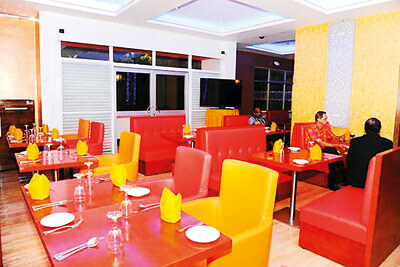 Asian fusion food at its best is what diners could expect from Senthosa, with the emphasis being on seafood. Oodles of Noodles, exotic rice dishes, satays, etc are all featured on the menu, while Pork will not be served at Senthosa. As Senthosa caters to the entire family, children could be assured of plenty of ice creams in several flavours as well. 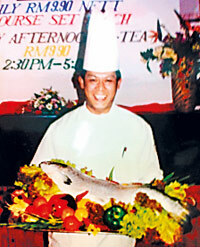 Chef Bobby who dished up traditional favourites such as Singapore chillie crab, Indonesian Nasi Goring, Thai prawn and noodle salad, Vietnamese seafood spring rolls, Malaysian mango chicken, Malaysian tamarind beef, seafood Laksa, hot garlic squid, Laotian prawns, and many other perennial favourites to the delight of all his diners, promises all who patronize Senthosa an unforgettable Far Eastern dining experience. Despite being located on busy Horton Place, there is ample parking space, while Senthosa’s friendly staff will cater to your every need.